The beautifully handcrafted large wooden toy box/hope box features solid oak corner posts and and veneered oak panels. Double lid supports that are positioned in the center of the toy box to prevent any accidental slamming, while the lid of the toy box is open. Classical design and quality sold wooden construction make it a perfect treasure toy box that can pass on for generations. Made in Bismarck, North Dakota USA, ship within in 2-3 weeks . Optional wooden cedar base: For only $40 you can add a solid cedar base in the bottom of this blanket toy chest/hope box. 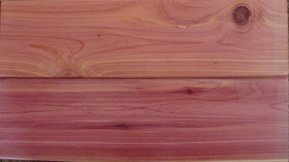 The cedar base is made of aromatic tongue and groove cedar boards that would protect cloth items from insects. Shipping: This item will ship from Bismarck, ND within 2 weeks via FedEx , depending on where you ship to, please add another 2-6 business days for delivery . If you need express shipping service, please contact us for a shipping quote.